Top-Loading Composite Tough-Track Overall Length: 14.5"
With the RAM Tough-Track, flat surface mounting possibilities are nearly endless for ATVs, cars, combines, motorboats, tractors, trucks, and more. 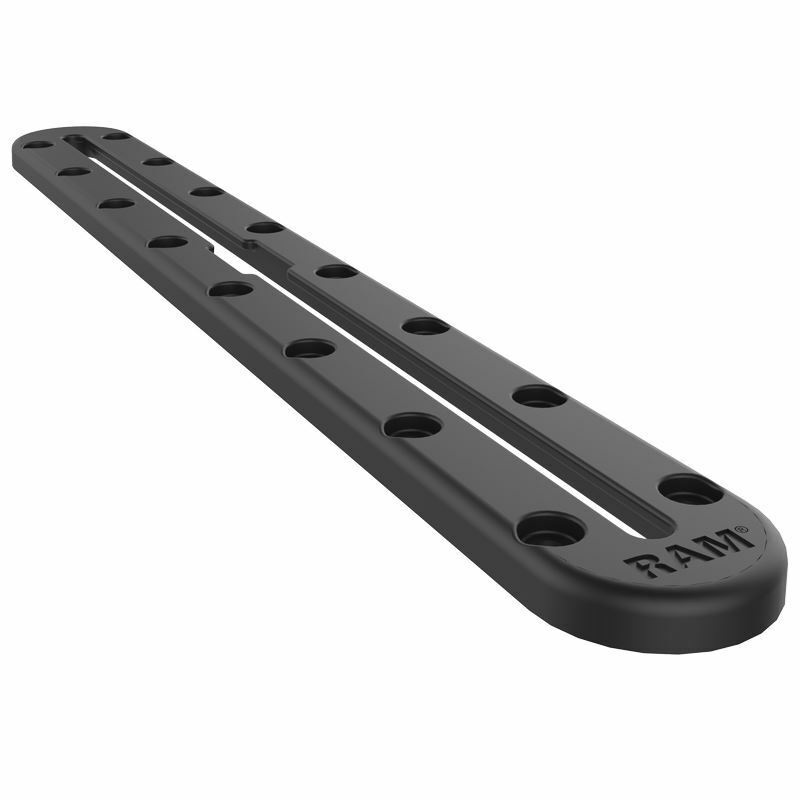 This track mount solution can be drilled to any flat surface and is designed for use with #10 screws for easy installation – hardware not included. The Tough-Track works with a wide variety of RAM track bases to attach devices like action cameras, fishing rods, phones, and tablets.